Mary Friend, director of the gas pipeline safety division of the Public Services Commission of West Virginia addresses seminar attendees. 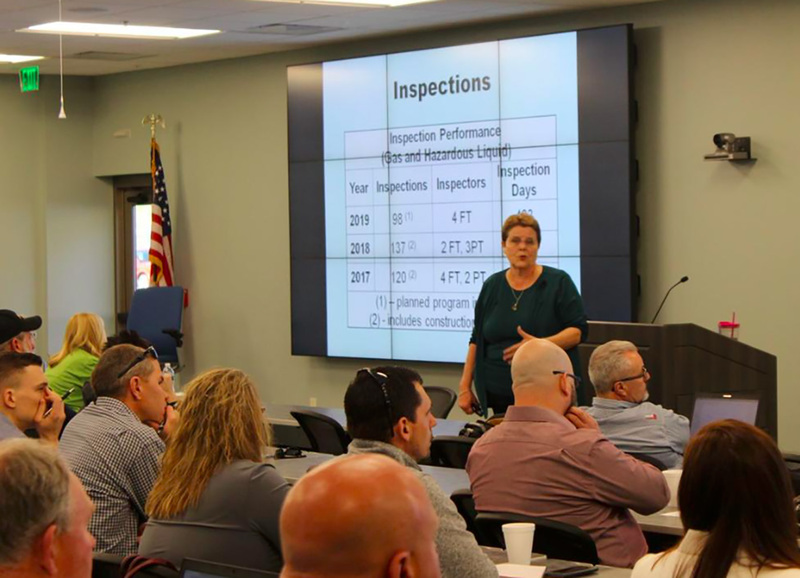 BRIDGEPORT, W.Va. — Pipeline operators, supervisors and other oil and gas industry workers in North Central West Virginia have constantly changing rules and regulations they must adhere to. To keep the workers informed and up to date on the latest regulatory changes, the state Public Service Commission and the West Virginia Oil and Natural Gas Association teamed up Tuesday to host a Gas Pipeline Safety Seminar at the Dominion Energy Transmission building in Bridgeport. About 100 workers employed in the oil and gas industry attended the free, all-day seminar.